For operating companies from the food and pharmaceutical industries producing under strict hygiene guidelines, round screening machines are often the first choice when it comes to selecting the suitable screening technology. Due to their round design with low dead space, they are considered to be particularly easy to clean and hygienic. Rectangular screening machines, however, can also be used in plants with the highest hygiene requirements as long as they were designed according to the basic principles of hygienic design. If this is the case, they even offer interesting advantages as compared to their round relatives, as impressively demonstrated by the new JEL Konti II vibration screening machine from Engelsmann. With the development of a hygienic version of the classic JEL Konti vibro sifter, Engelsmann AG responds to the growing demand for high-quality screening technology for the production of pharmaceuticals and food. “With the JEL Konti II, we have combined our proven vibration screen concept with hygienic design requirements,” explains Christian Kretzu, technical manager at Engelsmann. 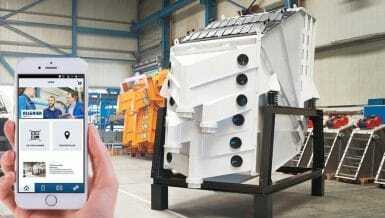 “Thanks to increased radii, a minimum of dead spaces and parts in contact with the product as well as compliant materials and surface treatments, the screening machine even meets the highest hygiene requirements in addition to its already existing advantages, such as its ease of use and screening with high selectivity.” The new JEL Konti II has been designed for plant operators who need a reliable, powerful and versatile screening machine and must not compromise in terms of hygiene and compliance. When developing this machine version, the Engelsmann developers adhered to relevant guidelines, such as GMP/GAMP, FDA, BfR and EU 1935/2004. The entire screen housing has a minimalist design and is characterized by smooth, easily wipeable surfaces. The core of the machine is the screening trough with the screen insert. 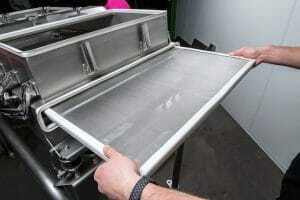 After the quick releases have been loosened, the covers can be removed and the screening trough opened. At the very first glance into the interior of the machine, it becomes evident how much space it offers. Due to the increased radii, the rectangular inner trough does not have any corners in which the product could accumulate. All internal parts are easily accessible and the seals can be quickly removed and re-attached without any tools for cleaning purposes. This allows thorough cleaning “by hand” without having to spend much time on it. For applications in which the screen has to be cleaned directly at the site of operation without dismounting it, Engelsmann also offers a CiP version. Hygienic design features can also be found outside the screening trough in the area which is not in contact with the product or in the splash zone. The entire screen housing has a minimalist design and is characterized by smooth, easily wipeable surfaces. 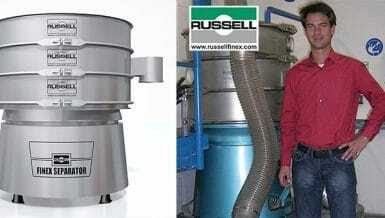 Furthermore, the machine is based on a round tube frame on which there are fewer product deposits. Like its predecessor, the new JEL Konti II is available with various surface treatments and surface roughnesses depending on the specific requirements. For all components in contact with the product, the corresponding certificates and declarations of conformity are included in the delivery. The screen insert can be pulled out, just like a drawer, in a few simple steps. As regards the speed of the screen change, in particular, rectangular screens like the JEL Konti model from J. Engelsmann AG offer noticeable advantages. After the quick releases have been loosened and the front machine cover has been removed, the screen inserts can easily be pulled out from the front. To do this, the screen does not have to be disconnected, let alone disassembled, from the product feed and output, which means that the entire process does not take longer than 30 seconds. Thus, the machine operators do not only save valuable time when changing the screens, they can also check the screen inserts in just a few simple steps. 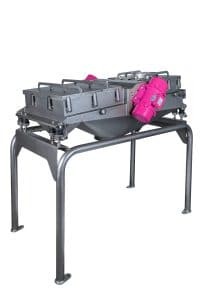 Round screening machines usually have to be disconnected from the product feed first so that the machine cover and the individual screening decks can be disassembled and removed from the machine by lifting them upwards. Using JEL Konti type screening machines, it is possible to screen almost all types of solids. Fine products with a grain size of less than 100 µm often cause dust which may leak from the machine as emissions, cause cross-contamination or harm the machine operator. Active pharmaceutical ingredients or allergens processed in food pose particular risks. For this reason, the tightness of the production equipment is often the top priority. Thanks to the new sealing mechanism of the JEL Konti II, the machine achieves dust and gas tightness values of 50 mbar. Like fine powders, fatty or compacting substances also tend to clog the screen mesh. Engelsmann therefore also offers triangle cleaning for the new Konti version. For the finest particle sizes, screen inserts with ultrasound cleaning are available. Apart from fine or greasy products, however, even coarse or granular products can be screened using the JEL Konti. Different product properties, such as their flowability, have a great impact on the screening result. To ensure that a specified throughput can be achieved for substances with an unfavorable screening behavior, the JEK Konti II can also be quickly adapted to the respective product by adjusting the screen angle, the vibration amplitude or the setting angle of the vibration motors. Engelsmann is also flexible when it comes to the positioning of the inputs and outputs of the screening machine, which means that the machine will be customized to the respective plant environment. Besides the effort of meeting even the highest hygiene requirements, the Engelsmann developers particularly focused on making the handling of the JEL Konti as easy as possible and without having to use tools. All machine covers have therefore been weight-optimized and can easily be removed after the quick releases and star grips have been loosened. By keeping wear parts to an absolute minimum, the JEL Konti also requires very little maintenance, which has a positive effect on the downtime and operating costs of the machine. Conclusion: Due to the implementation of hygienic design features in the new JEL Konti II, such as the improved cleanability and the use of compliant materials and surfaces, customers with highly sensitive production environments in terms of hygiene now also benefit from the advantages offered by this vibration screening machine. 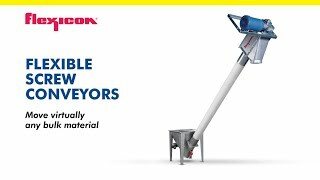 However, the new version also excels in applications in the chemical and plastics sectors thanks to its very simple handling and fast screen insert change. Available as single and double deckers with screening surfaces ranging from 0.18 to 4.00 m², the JEL Konti is suitable both for small and large product quantities and achieves throughputs of up to 30 t/m². 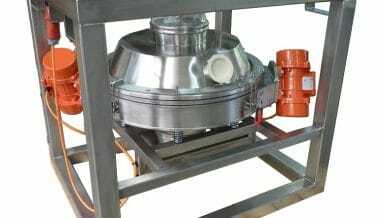 Vibration screening machines are mainly used for the screening of oversized particles and fine screening as well as for protective screening or grading.